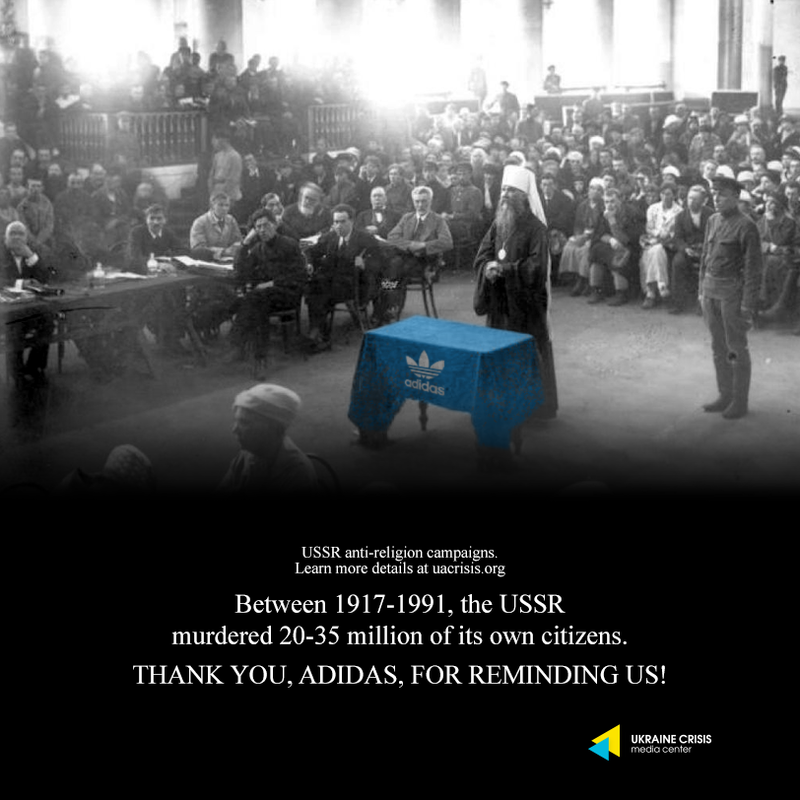 Having in mind the fact that Adidas still refuses to withdraw its ‘USSR’ clothing line and publicly apologize for it, UCMC publishes its sixteenth visual reminder to the company. The Soviet war against religion spanned almost seven decades. The sheer scale of the persecution was unimaginable: over 8,000 priests were killed by the Soviet regime in 1922 alone as the USSR raided churches to steal its material assets. During the purges of 1937-38, church documents show that 168,300 members of the Orthodox clergy were arrested; over 100,000 were executed.